Everyone enjoys a luxury hotel or resort room with a stunning view...but why not also book a hotel with a pool with a view? These pools don't only just have great views, but fantastic amenities to match their glorious surrounding scenery. What's best is that at all of these properties we're able to secure great amenities and upgrades for your stay when you book with us! A wellness oasis has been discreetly planted among the trees of lush Uvero Alto: Zoëtry Agua. Like a gentle shield, its tranquil atmosphere protects the mind and enriches the body with abun-dant flora and Endless Privileges. This luxurious beachfront resort boasts a secluded location at Punta Nizuc in Cancún. The resort’s 29 tranquil acres are nestled between lush mangrove forest and lovely white-sand beaches. Surprisingly, this corner of paradise lies just 15 minutes from Cancún International Airport. 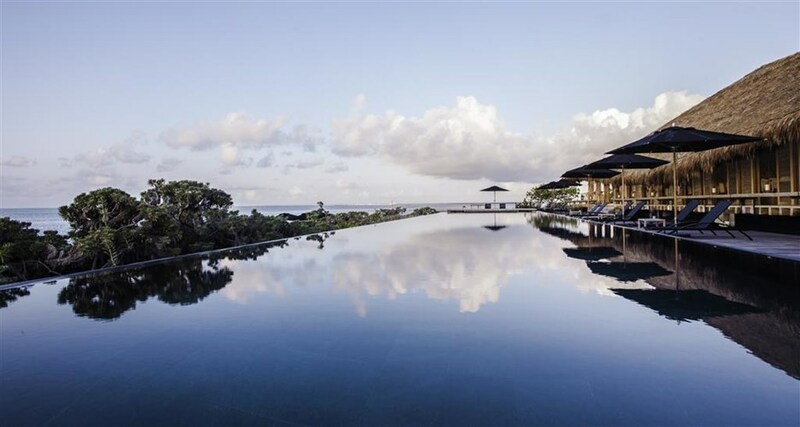 Sun yourself at one of NIZUC's 5 stunning infinity pools, both adults only and family friendly. Bonus: This resort also offers an adult's only private beach. 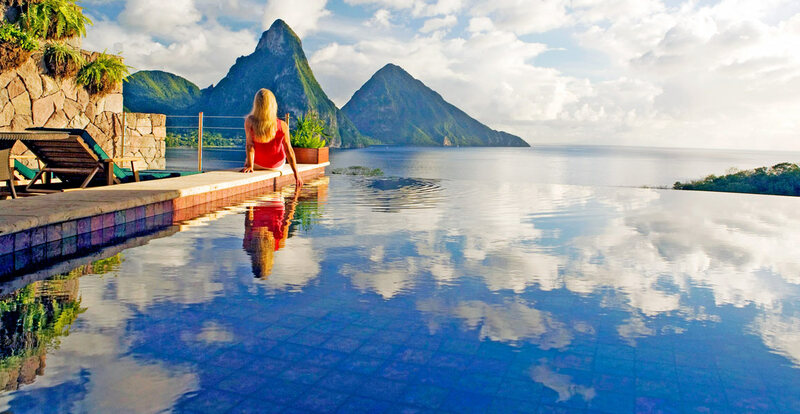 Rising majestically above the 600 acre beach front resort of Anse Chastanet, Jade Mountain Resort on St. Lucia's south-western Caribbean coastline is a cornucopia of organic architecture celebrating St. Lucia’s stunning scenic beauty. Jade Mountain's ensuite infinity pools are primary elements of the building's design. 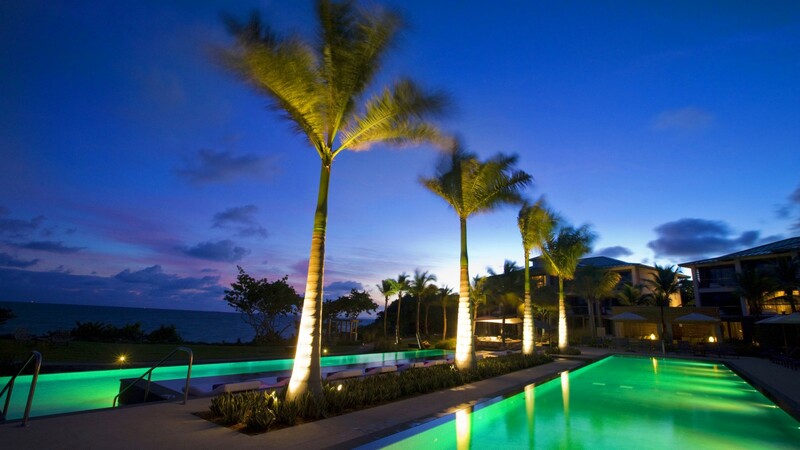 With sizes ranging from 400 to 900 square feet, the design of each pool is unique both in colour and shape. The infinity pools size increase in relation to the different square footage of the different room categories: GALAXY, SUN, MOON and STAR. Necker, Sir Richard Branson’s private island paradise, is situated in the British Virgin Islands, a stunning and unspoilt area of the Caribbean. At 74 acres, Necker sits in turquoise waters surrounded by coral reefs and fringed with beautiful white sandy beaches. Just next to the Beach House, the Beach Pool has a freeform infinity pool complete with a swim-up bar where guests can sit and enjoy a drink. There’s also a huge Jacuzzi right on the beach! 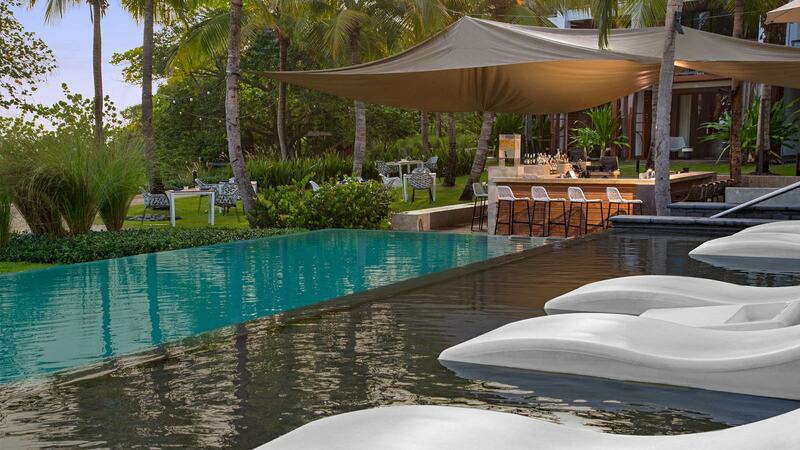 Dip and double dip again in the W Vieques Island outdoor infinity-edge splash pool overlooking the ocean as you consider spending your entire day lounging on a deckchair or draped across a sun bed. The tri-level pool with small island separating pools are surrounded by a beautiful landscape, lounge chairs and cabanas. COMO Parrot Cay is a Caribbean private island resort in the Turks and Caicos—an archipelago of eight principal islands and more than 40 smaller cays, of which Parrot Cay is one. Rich in hidden coves, pristine beaches and reefs, the islands are positioned some 925 kilometres southeast of Miami. 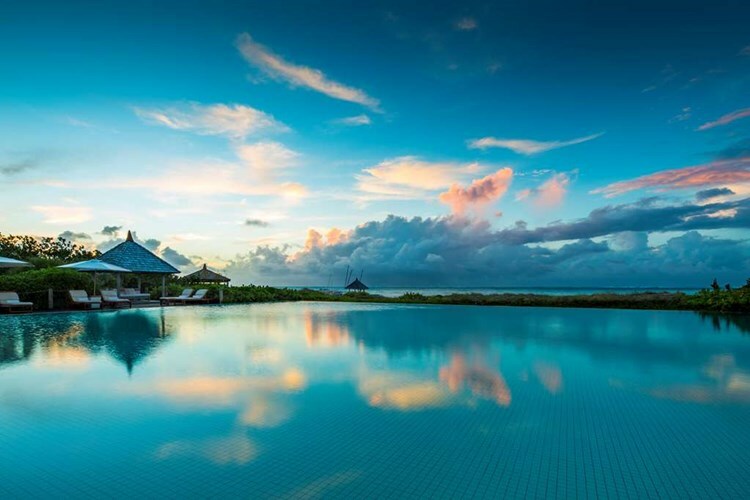 COMO Parrot Cay has a stunning oversized infinity pool located directly on the beach overlooking the Atlantic ocean, with easy access to and from the sand. With plenty of amenities and 5 star service at the pool, you'll never have to lift a finger. Thinking it's time to go south? Give us a call or send us an email! Our luxury and leisure travel specialists can match you perfectly with the ideal place to stay just for you! We would be happy to organize your trip to the Caribbean!